← Why keep risk registers secret? 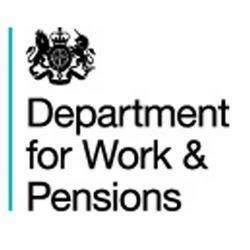 A judge has ordered the Department for Work and Pensions to release three Universal Credit IT reports that ministers and their officials have spent public money trying to keep out of the public domain. Judge Chris Ryan and his FOI tribunal panel went further: they concluded that had the reports in question been disclosed at the time they might have corrected misleading government statements about the robust state of the Universal Credit programme. Two director-level officials at the Department for Work and Pensions had argued that civil servants needed a “safe space” in the reports in question to be candid in their assessments of risks and problems. But the FOI tribunal, whose members have project management experience, concluded that it’s in the self interest of officials to be candid and professional about problems and risks rather than be associated with a failed project. In addition, officials would not wish to be held partly responsible in a later review, such as one carried out by the National Audit Office, for having “failed to draw colleagues’ attention to problems with sufficient clarity to ensure that they were addressed effectively and in good time”. Civil servants had an “awareness of the importance of candour in support of good decision-making and their professional obligation to assist that process”. The tribunal said the three reports in question should have been disclosed at the time they were requested in 2012. It directed the DWP to disclose them. If the DWP’s barrister can identify good reasons why the tribunal might have made an error, or errors, in law, he can appeal within 28 days, though a tribunal could reject his appeal . The DWP could then appeal this decision. This cycle of appeals that has already happened once – or the DWP could now decide that it has spent enough public money on fighting the case and release the reports. 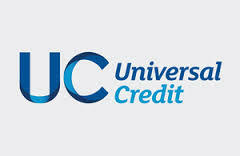 The reports are expected to throw light on the problems and risks of Universal Credit IT at a time when DWP’s officials, secretary of state Iain Duncan Smith and his ministers, were giving assurances that all was well with the programme. An FOI tribunal ordered the reports to be released in 2014 but various DWP appeals led to a re-hearing of the case last month (22 February 2016) at Leicester Magistrates Court. Now Judge Ryan and two other FOI tribunal panel members have ordered that the DWP release a risk register, issues register and Major Projects Authority project assessment review. The risk register described risks, the possible impact should they occur, the probability of their occurring, a risk score, a traffic light status, a summary of the planned response if a risk materialised, and a summary of the risk mitigation. The issues register included a list of problems, the dates they were identified, the mitigating steps required and the dates for review and resolution. The project assessment review gave a high-level strategic view of the state of UC, its problems, risks and how well or badly it was being managed. The DWP argued that routine disclosure of such reports could lead to sensationalist headlines that would have a “chilling effect”. Not wanting to give food to a hostile media, officials writing or contributing to such reports could make them anodyne. But Judge Ryan said the DWP had “over-stated” its fears. The tribunal suggested that the DWP had not been entirely truthful about the Universal Credit programme. This difference between reality on the UC programme and government statements was a good reason in favour of the disclosure of the reports, said the judge. The DWP’s witness Cath Hamp, a senior DWP official, went into closed session at the latest hearing to argue that her concerns about civil servant behaviour would be more clearly shown by reference to specific items in the withheld documents. Her closed-session arguments related to the risk of fraud and hacking into the system, relations with commercial organisations, and relations with local government. The tribunal was not convinced by her arguments. Neither was the panel convinced by the “chilling effect” arguments. FOI a benefit more than a “burden”? The tribunal suggested that FOI obligations, rather than cause harm as the DWP had suggested, would be a benefit. The FOI Act had “brought with it an obligation on government to explain itself to a greater extent than had previously been found necessary”. The tribunal rejected the DWP’s argument that it faced a hostile media which made officials defensive. “perfectly appropriate performance of the media’s role in a modern democracy for it to investigate and comment on the implementation of a major reform involving large sums of public money and a potentially crucial impact on the lives of some of the least fortunate members of society”. My thanks to IT projects professional John Slater who has been the main force behind the case in favour of disclosure of the reports. He made the original request in 2012 for the reports to be published. I requested one of them. He went to the original First Tier Tribunal and to Leicester Magistrates Court last month to cross examine the DWP’s witness. The points he made were quoted by the tribunal in its submission. It’s campaigners like John Slater (and Dave Orr) who have helped to make FOI legislation more effective than it would otherwise have been. If the DWP continues to pour money into fighting the disclosure of the reports in question, it will confirm to some of us that, when it comes to its own interest, that is its interest as a bureaucracy, it may not be a fit authority to manage the spending of public money. I hope it will release the reports now. It is time it started distinguishing between the public interest and its own. This entry was posted in Campaign4Change, DWP, excessive secrecy, FOI, Freedom of Information, Gateway reviews, governance, Government IT, Institute for Government, Major Projects Authority, National Audit Office, procurement, project management, public sector, public services, Universal Credit and tagged agile, Cabinet Office, Efficiency and Reform Group. Bookmark the permalink. I love para.61 and “We do not therefore accept the Department’s submissions on …”. And para.62’s “Nor do we accept that resources would be wasted in providing explanations …” and its “We do not accept that the disclosure of the withheld information on the dates we have identified would have imposed a significantly increased burden on …”. Then there’s para.63 – “we did not feel able to accept her judgment that significant change would be likely if …”. And so it goes. On. To para.68, “We do not accept the Department’s submission that the management of the Universal Credit Programme is already exposed to sufficient public scrutiny …” and beyond, all the way through to para.73: “Our decision is unanimous”. As sweeps go, that’s got to be one of the cleanest. Once again, chapeau bas, congratulations. Thank you for challenging what is, effectively, a potential abuse of power. An alien visiting our planet would not find very much evidence that our government bureaucrats were charged with serving the people. They might well assume that the people were enslaved to self-serving, not very bright (except when looking after their own backs) government bureaucrats. Life is hard but you have illuminated some dark, dank corners. Thank you all. Tony – A landmark ruling. Well done to you and John Slater for fighting an effective campaign over 4 years. My contributions are modest but thank you for your kind remarks. I bet the DWP continue appealing – Unless IDS’s days are numbered if the Brexit vote loses in June (knife edge in polls)! I am so pleased that the so-called “chilling effects” have been comprehensively dismissed by the Judge and the expert panel in favour of open Government, transparency and public interest. – Massive £192m of savings claimed fail to materialise. – Council budgets fall in real terms. – Transformation claims through SAP fail to realise expected cashable savings. – Relationship failure with the contractor (IBM). Quicker than you thought, eh? Will we now see more recent risk logs & gateway reviews? Will they show an IT disaster of epic proportions? Latest Private Eye repeats assertions that IDS falsified his tertiary education qualifications. If Vote Remain wins in June he was toast anyway not least for calling the Remain report a “dodgy dossier”! years of this government running the country. It won’t bring peoples loved ones back but may be helpful for others going through these inhumane process.